The Memphis Redbirds finished their 2018 regular season campaign with a record of 83-57, giving them an 11-game advantage over the second-place Nashville Sounds. This is one year after going 91-50 in 2017. The combined win total of 174 marks the most the franchise has had in a two-year stretch since 1933-34. In clinching the Pacific Coast League title Saturday night over the Fresno Grizzlies, the Redbirds won back-to-back titles for the first time in franchise history, capping off a playoff run full of late-game heroics. The Triple-A National Championship rematch against Durham of the International League is all that remains. 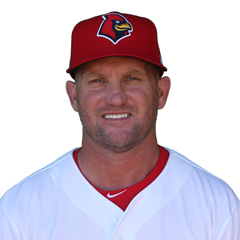 The Memphis pitching staff had numerous players – including their entire opening rotation of Jack Flaherty, Austin Gomber, John Gant, Daniel Poncedeleon and Dakota Hudson – receive call-ups to St. Louis but kept playing consistently, thanks to the watchful eye of second-year manager and back-to-back PCL Manager of the Year, Stubby Clapp. A franchise record 66 different players appeared on Memphis’ roster this season. Only three active players from 2017 were still on the roster at the close of 2018 – Wilfredo Tovar, Tommy Edman (back from Double-A) and Kevin Herget. From Memphis’ 25-man Opening Day roster in 2018, only nine players remained. The first achievement for Memphis is obviously the PCL title. As mentioned earlier, it is the first time the franchise has won back-to-back championships. Outfielder Randy Arozarena and infielder Tommy Edman were named co-MVPs of the PCL Playoffs. In seven postseason games, Arozarena hit .348 (8-for-23), with two home runs, and seven RBI. Edman appeared in all eight games, hitting .469 (15-for-32) with six runs, three doubles, one home run, and six RBI. After an up and down season, starter Jake Woodford was outstanding in the closeout clincher. The 21-year old right-hander threw 7 1/3 shutout innings and allowed three hits and one walk, while striking out six batters. Saturday’s title-clincher came 18 years to the day after Albert Pujols hit a walk-off home run to give the Redbirds the PCL 2000 crown. Dakota Hudson, Daniel Poncedeleon, and Patrick Wisdom were named to the PCL All-Star Team. Hudson was the game’s starting pitcher and Wisdom competed in the Home Run Derby, the first player in franchise history to do so. The Redbirds had two players on the exclusive PCL post-season All-Star Team. Hudson was selected as the league’s Pitcher of the Year and outfielder Tyler O’Neill was also recognized. The 16-team PCL is divided into two conferences, the American and the Pacific. Each conference is split into two divisions – Northern and Southern. The season began for Memphis on April 5th, with a road victory over the Round Rock Express. They came out of the gate hot, winning nine of their first 10 games. The Redbirds finished the month with 17 wins total and a 4.5-game division lead. In May, Memphis had a bit of a rough patch to begin the month. The team went 5-7 in their first 12 games, including two three-game losing streaks. Toward the end of the month, the team began to bounce back, winning five of their last six games and expanded their lead to 5.5 games. June once again had a slow beginning, as Memphis won just four of their first 10 games out of the gate. They ended the month on a three-game win streak, outscoring their opponents by a combined margin of 25-9 and when June ended, Memphis had doubled its division lead to 11 games. July was a good month for the Redbirds, as they finished with a mark of 19-8. The month included two four-game winning streaks and culminated with a 15.5-game edge. August marked a bit of an up and down month for Memphis. After winning six of their first ten contests, they went on a four-game losing streak, during which they were outscored 27-11. They finished the month with a record of 13-16, their first losing month since 2016. Still, the division lead was 10 games. After splitting their final series of the season with Nashville, the Redbirds began postseason play by clinching their series with Oklahoma City, two games to one. The series was dramatic to say the least, as it included two walk-off wins. In their next series against Fresno, Memphis had more late game heroics, winning in walk-off fashion to take Game 3. After clinching the PCL title, the Redbirds will travel to Columbus, Ohio to play the Durham Bulls in the Triple-A National Championship Game Tuesday night at Huntington Park. The Memphis pitching staff was the backbone of the team during the 2018 campaign. They led the 16-team PCL in ERA (3.54) and WHIP (1.28). They were also third in shutouts (11) and strikeouts (1160). The Redbirds offense was solid throughout the year. Overall, they complemented the dominant pitching staff with timely hitting, as evidenced by their walk-off dramatics in the postseason. During the regular season they were ninth in both batting average (.269) and slugging percentage (.418) and tied for sixth in home runs (142). They were eighth in RBI (650). For most of the season, the Redbirds starters were headed by the one-two punch of Daniel Poncedeleon and Dakota Hudson. Hudson was 13-3 with a 2.50 ERA and Poncedeleon led the PCL in ERA with 2.24, coupled with a 9-4 mark. 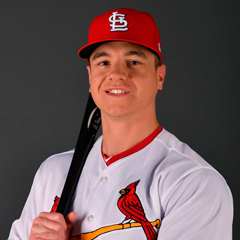 The two were however called up to St. Louis as the season went into the home stretch and the team heavily relied on the efforts of other starters, including Kevin Herget and Chris Ellis. The latter two finished with a combined record of 15-15. Ellis had a 3.76 ERA with a WHIP of 1.18. Herget’s ERA was 4.76. The Redbirds relied on the offensive talents of many, including outfielders Tyler O’Neill and Adolis Garcia. Both ended up being called up to St. Louis because of their efforts. O’Neill still led the team in home runs with 26. Garcia was second with 22. As July ended, stalwarts Luke Voit and Oscar Mercado were traded away. 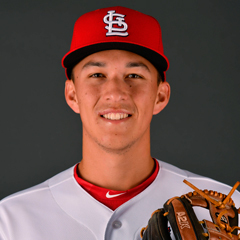 As they departed, the Redbirds received offensive jolts from others, including Tommy Edman and Randy Arozarena. As mentioned earlier, the latter two were named co-MVPs of the postseason. 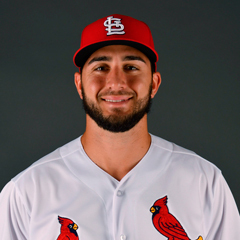 Among the end-of-season Redbirds ranked in the most recent monthly top 50 prospect list compiled by The Cardinal Nation are #6 Andrew Knizner (late promotion), #7 Ryan Helsley (injured), #12 Randy Arozarena, #14 Genesis Cabrera (late), #15 Justin Williams, #19 Lane Thomas, #20 Max Schrock, #21 Jake Woodford, #24 Andy Young (late), #25 Tommy Edman (late), #26 Edmundo Sosa, #36 Conner Greene and #44 Ramon Urias. Already with St. Louis are #2 Tyler O’Neill, #3 Dakota Hudson, #5 Carson Kelly, #9 Austin Gomber, #10 Adolis Garcia, and #18 Daniel Poncedeleon. Link to master article with all 2018 award winners, team recaps and article schedules for the remainder of this series. 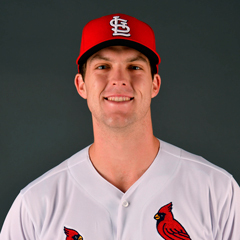 Of course, that will include our selections as the Memphis Redbirds Reliever, Starting Pitcher and Player of the Year. Follow Jeremiah Graham on Twitter @JGraham_95.